(Natural News) Physical contact between babies and their caregivers doesn’t just foster emotional bonds — it also affects infants on a molecular level. This was the conclusion that researchers from the University of British Columbia and BC Children’s Hospital Research Institute came to in their landmark study. Though far from just impacting children in their infancy, physical contact (or lack thereof) elicit results that remain detectable well into childhood. For the purposes of their study, the researchers recruited the parents of 94 healthy, five-week-old children. The parents were asked to keep journals of their children’s behavior (things such as crying, feeding, and sleeping), as well as the frequency amount of bodily contact they shared. By the time the children were four-and-a-half years old, the researchers swabbed the inside of their cheeks to attain DNA samples. To verify whether there were any differences between children who received plenty of physical contact and those who didn’t, the researchers examined a process known as DNA methylation. This is a modification to DNA that results from the addition of a methyl group to the DNA molecule. According to ScienceDaily.com, methyl groups act as “dimmer switches” that affect cellular function by controlling gene activity. Upon comparison, the researchers discovered striking and consistent differences between high-physical-contact children and low-physical-contact children. The cells of low-physical-contact children were noticeably less mature than they should have been, especially the cells that play roles in the children’s metabolism and immune systems. This, according to the researchers, could lead to the children experiencing developmental setbacks and delays in their growth. “In children, we think slower epigenetic aging might indicate an inability to thrive,” said Dr. Michael S. Kobor, Associate Professor at the UBC Centre for Molecular Medicine and Therapeutics. This study goes hand-in-hand in numerous studies over the years that have stressed the importance and influence of physical contact between parents and their children. The researchers behind one such study found that gentle and responsive touches had positive, lifelong effects on the development of babies, especially those who were born premature. Gentle touch has been linked to improved sleep, better motor development, and less discomfort from painful medical procedures. Premature babies, however, were less responsive to this type of touch than full-term babies. The premature babies who were subjected to medical procedures also showed diminished response to touch. 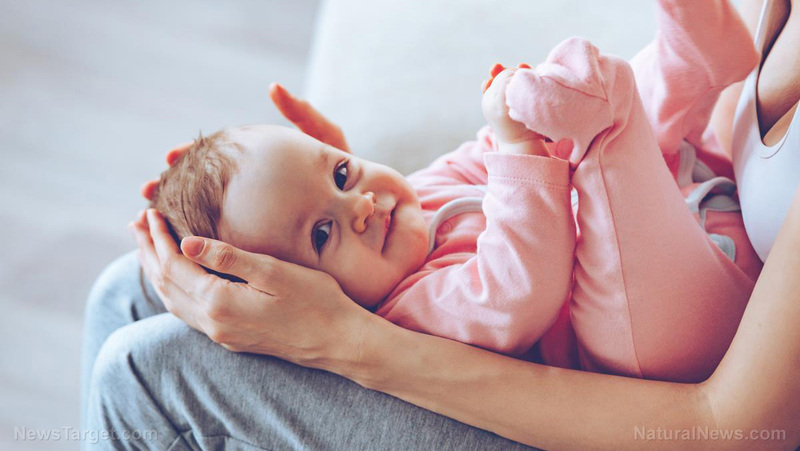 Yet the premature babies who received more gentle contact from their parents and caregivers were found to have stronger responses to physical contact. Visit HealingArts.news to read up on more stories about the benefits of physical contact with babies, or for general news on holistic care.